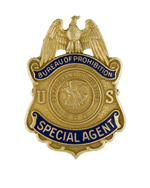 On June 9, 1930, Prohibition Agents Albert Brown and Robert Davis were attempting to arrest Rodney Selby for violation of the National Prohibition Act. Selby, who operated the Indian Springs filling station, had just sold the agents four shots of liquor. However, before they could handcuff him, Selby grabbed a .25 caliber handgun from behind a counter and started shooting wildly. In the ensuing gunfight, Agent Brown was seriously wounded, while Agent Davis suffered superficial wounds. Agent Davis placed Agent Brown in the Government car and rushed him to the hospital, but Agent Brown died enroute. Selby escaped, but was arrested several days later. He pleaded guilty to murder on June 16, 1930, only 7 days later and was sentenced to 10 years to life imprisonment. Agent Brown's official personnel file could not be found. 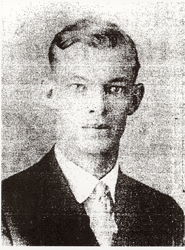 Agent Brown was 25 years old at the time of his death.